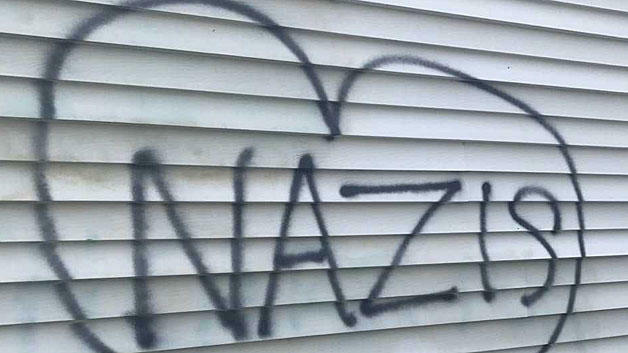 The Anti-Defamation League is reporting a 57 percent increase in anti-Semitic incidents in the U.S. last year, the highest tally that the Jewish civil rights group has counted in more than two decades, according to data it released Tuesday. The New York City-based organization found 1,986 anti-Semitic incidents last year -- up from 1,267 in 2016. That's the highest total since 1994 and the largest single-year increase since the group began collecting this data in 1979. The ADL said the sharp rise includes 952 vandalism incidents, an increase of 86 percent from 2016. The group also counted 1,015 incidents of harassment. ADL national director and CEO Jonathan Greenblatt said the "alarming" increase appears to be fueled by emboldened far-right extremists as well as the "divisive state of our national discourse." "Less civility has led to more intolerance," he told The Associated Press. "A confluence of events in 2017 led to a surge in attacks on our community - from bomb threats, cemetery desecrations, white supremacists marching in Charlottesville, and children harassing children at school," Greenblatt said in an ADL news release. The ADL and other groups have reported a surge in the number of incidents in which far-right extremist groups have posted racist and anti-Semitic fliers on college campuses. ADL spokesman Todd Gutnick said the report's tally only counts incidents in which fliers had explicitly anti-Semitic messages. Rabbi Shmuel Herzfeld, of Ohev Sholom-The National Synagogue in Washington, said neo-Nazis in the U.S. are emboldened "in a way I have not seen in my lifetime." Greenblatt also urges "all public figures" to speak out against anti-Semitism "whether you're the president of the United States or the head of the local P.T.A." President Donald Trump was widely criticized for saying there was "blame on both sides" after violence erupted in August at a white nationalist rally in Charlottesville, Virginia, where 32-year-old Heather Heyer was killed when a man drove his car into a crowd of demonstrators. "There's no question we would love to see the president call out anti-Semitism as consistently and clearly as he does other issues," Greenblatt said. The ADL says it compiles its incident data from news reports and information provided by victims, law enforcement and "community leaders." "We just don't report something we've heard. We call, we check and we verify," Greenblatt said. The ADL reports that incidents occurred in all U.S. states. The states with the most incidents tend to be those with the biggest Jewish populations, including New York, with 380 incidents, California with 268, New Jersey with 208, Massachusetts with 177, Florida with 98, and Pennsylvania with 96.